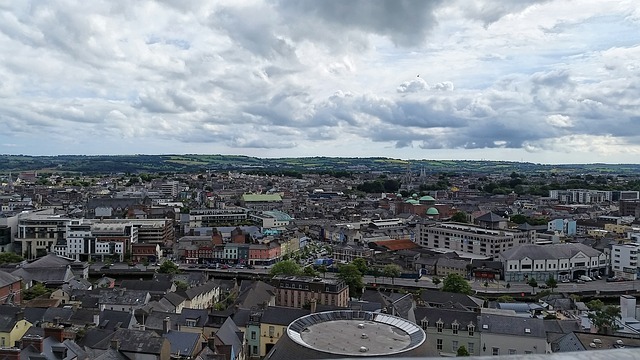 Cork is slowly becoming a popular tourist destination in it’s own right. Often seen as a gateway to Ireland, due to it’s airport and port – there is actually a lot to see in the beautiful town too. Since 1840 the picturesque, cathedral-topped town of Cobh was the traditional departure point for transatlantic passengers. Today most cruise liners berth at the Cobh Cruise Terminal, a few hundred yards from the town center. Visitors can enjoy pleasant walks, browsing among the colorful shops or simply relaxing in the hotels and bars with their wonderful views of the harbor. Nearby is the Fota Estate with its wildlife park and arboretum. It’s especially attractive to British tourists as it’s so accessible from the UK mainland. Indeed UK visitors will feel right at home, they can even watch their favorite TV stations too – read this post How to Watch UK TV Online in Ireland. Some vessels opt to sail up the River Lee to the city quays. The 800 year old university city of Cork, Ireland’s second city, while offering a distinctive cosmopolitan flavor, exudes traditional Irish friendliness and hospitality. With a variety of modern shopping facilities, the city also offers art galleries, a museum and magnificent churches. Cobh’s unique origins, its history and its legacy are dramatically recalled at the Queenstown Story. Time Required: 1 – 2 hours. World acclaimed for the splendor of its lakes and mountains and for its traditional and romantic jaunting cars. Subtropical garden of glorious flora with its Italian Garden, formal and colonnaded with terraces and pools. As you can see there’s lots to do so there’s no need to rush off from Cork when you get there. Spend a few days there and then travel to the rest of the country or hop onto a plane and visit Dublin.